In 2006, Alvaro had just finished his stint as the Director of the Osa Conservation Area. The primary reason for taking the position was to find the means (funds and political will) to hire badly needed additional park rangers for the Corcovado National Park, which was under renewed heavy threats from poaching and gold mining. He accomplished it within the two years he was Director. At the moment, Alvaro was at peace and relaxed. I thought I would seize the opportunity. After a long conversation, Alvaro agreed to work with me on his oral history, shortly after he joined the Nectandra Institute. Given Alvaro’s personality and his storytelling skill, I wanted to have both traits reflected in his recounting. Rather than the standard “Question and Answer” format, I envisioned taping sessions with just Alvaro’s voice. 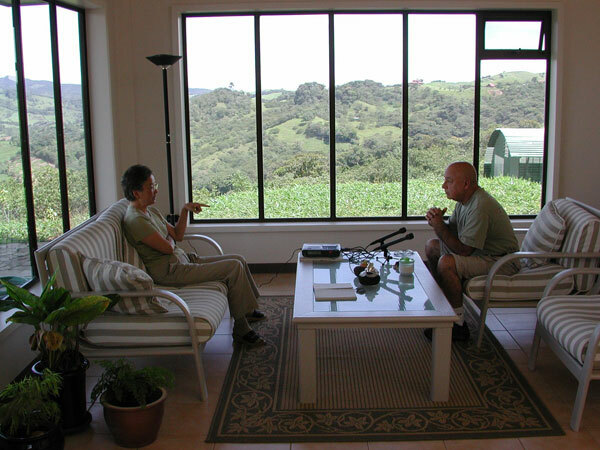 We started recording on August 6, 2007 at my home in Ángeles Norte de San Ramón, Costa Rica. We would prepare a simple outline before each tape recording session. He would speak extemporaneously in one continuous session. Afterwards, I would prepare the transcript for him to correct and edit. Later that year, it became harder and harder to schedule additional recording sessions. Alvaro also found the editing of the transcript tedious. The last session was on May 8, 2008, by which point Alvaro had covered only the first two decades of his career. He intended to record his thoughts up to the mid 2000’s. Other than the omission of the vernacular uh’s, but’s, and’s, and minor corrections to render the sentences grammatically correct, I tried to adhere to Alvaro’s original line of thought as closely as possible. Edits by Alvaro are shown in blue text in the transcripts. More audio recordings will be made available as the corresponding transcripts are completed.